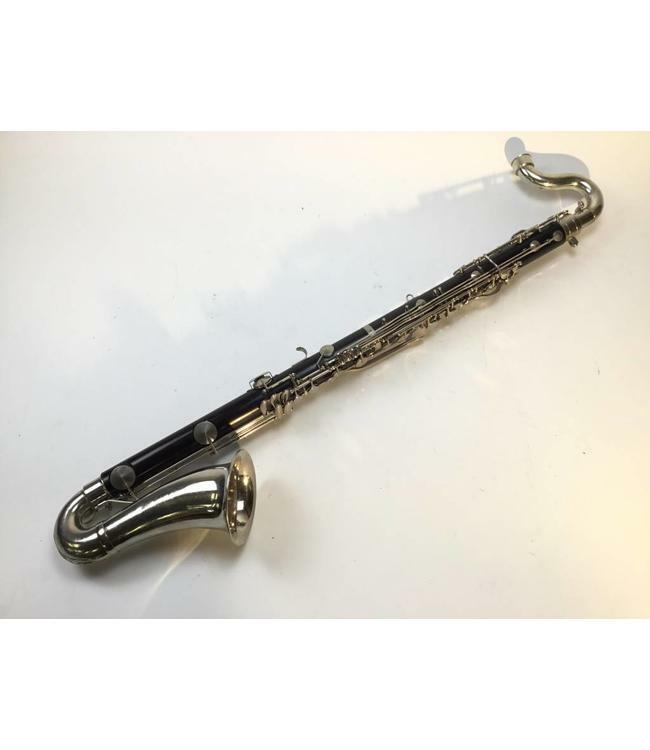 Used LeBlanc L60 Intermediate bass clarinet. Five piece grenadilla wood body with nickel plated keys. Wood is free of cracks or splits and has surface scratches throughout. Keys have some wear at contact points. Instrument has recently been adjusted and regulated. Comes with bell which shows some evidence of prior repair. No dents in with the bell or neck. Includes a 2 piece style case. This will be an excellent doubler or step up instrument.